This month has seen a tumultuous rise is the cosmic energy that has been prevalent for quite some time now. The amount of information that has been spent on gaining and understanding the natural cosmic reactions the past month, has led to several people considering them to be intellectuals in this very field, owing to a large multitude of retrogrades, directs, stationary, and shifting planetary motions. What is surprising is that the effects of such motions are still felt. We are still racked by the tremors of long-forgotten events that still manage to make something out of our life. Life would continue to feel like it has been burdened by several rocks tied to your shoulder, as you crawl like Sisyphus, trying to push the rock up a cliff, but it would be an endeavor in futility. This would result in you losing hope throughout this time, and imagining your life to be a dark pit, from where there is no escape. This is an extremely common phenomenon, which occurs after several extra terrestrial bodies unusually change their positions, and which takes some acclimatizing to. You might feel like this is too much, and you never signed for it, but here you are, and this too, shall pass. For victory is in sight, and there is no point in losing hope when you have lasted all month, facing countless eclipses, and blood moons, and retrogrades of different planets. The different places through which this will pass are: the star Sirius, the Great Central Sun, Earth’s Sun, Earth’s grid point, Orien’s Belt, and the Great Pyramid of Giza. The famed Lion’s Gate portal opens at exactly this point, for the Sirius star is considered to be even brighter, and bigger than our Sun. But what makes this event even more special, is the fact that it would set, and rise with our Sun, which would lead to severe climate changes in the next few days. It might get extremely wet in some places, while the others would experience a lot of heat. This event occurs every month in July, especially the 26th, when the Sun, and the Sirius star come into play. Sirius is usually thought of as a series of new beginning where an individual ought to kick start his life in a new direction, without focusing too much on the past, and thinking too much towards the future, getting into the zeal of developing new ideas, new thoughts and new adventures. They show what life is truly about: a need to establish change from the monotony that it brings, and bringing forth new materials, that would make it interesting. Sirius is said to be the hub of divine light, which comes from a point in the upper dimensions, namely the Ascension Order, which reach us when this gate is opened. This can lead to an influx of divine wisdom, that come slithering towards the Earth, and seeps in every pore of our being, which then heighten our consciousness, and awaken our DNA. Also, this can lead us to our own spiritual and mental evolution that would, in turn, lead us on our path to glory, and success, in every venture of our life. This meeting of the Sun and the Sirius, leads to the overcharging of two of the brightest beings in the universe, that leads to a tremendous surge of light and power, that comes rushing towards the planet, also leading to a star gate, which opens. This star gate is nothing but a portal through which bodies can traverse through the universe at extremely high speeds, and which allow free movement. This, when hits the Earth, results in life changing events, where humans need to take control of their life, and see to it that they don’t laze around, and let this golden opportunity slip by. Our lives would change, and that would be something we would have no control about. This opening of the star gate would lead to feelings of frustration, impatience, anger, rudeness, jealousy, irritation, annoyance, for you would be able to feel yourself humming with energy, yet unable to do anything about it. This power is a symbol of everything divine: energy, courage, femininity, bravery, dichotomizing everything, yet bringing it too within its folds. This would allow us to believe that things are changing, and we need to be aware that things aren’t going to be the same for us anymore. It comes in the form of number 8, which is the sign on infinity. Now, when this already is falling on us, letting us accept it, it works on our heart chakra, willing it to be loving and caring unconditionally. With the influence of the number 8, this love would be infinite. It also signifies a time when we are aware of the infinite opportunities that would be placed before us, and how we would have to take control of the situation, and realize that we need to work on everything that we have been missing out on. This is the time to be getting rid of everything that doesn’t help us, but rather harm us. Understand that you have one life, and to make the best use out of it, we need to get away with everything that we have previously thought to be helpful, but they aren’t. This means that anything that is remotely harmful, or doesn’t really increase your control over your life, but rather puts you on the ground, will have to go. This can be anything: smoking, alcohol, womanizing, drugs, gambling, anything that would prevent you from reaching your true potential in any field that you have given your heart too. Not just habits, this is the time when you would also have to give up on people who would be preventing you from reaching your pinnacle. These are the people who you would consider as friends, but they would turn out to be snakes, willing to bite you at a moment’s notice. Be warned. 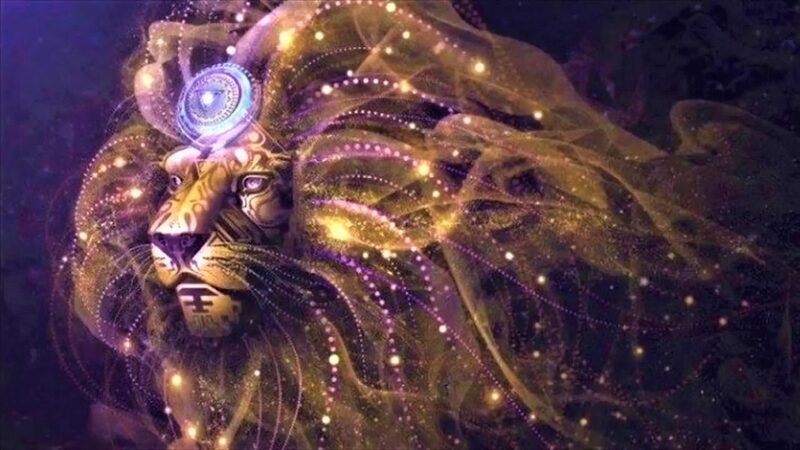 To get these lights to reach you and engulf you truly, you need to find a place where you can calmly focus your mind on the chakra that governs us all, and then you need to imagine a bright ball of light that is coming towards you, and slowly swallows you whole. Next, imagine you falling through this tunnel of bright light, which gives you even more clarity as you fall through it, also leading to a severe awareness and clarity that you would be bestowed with. This can also lead to a sense of disorientation, but only for a short while, for on opening your eyes, you would find yourself spiritually better, and mentally healthy, with no worries about the future, for the future would be in your hands, and you would be its master.